It has been proven to be a false rumour, but for a while there people were saying that Joss Whedon could be directing Star Wars IX. Now, true or not, what would you think of the pairing? 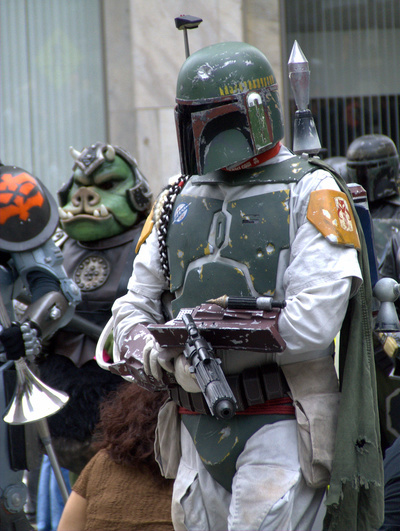 Would the Firefly, Avengers, Cabin in the Woods juggernaut work in the Star Wars universe? I think the world's geek population, myself included, would have a collective heart attack! All jokes aside though, I think this would be an amazing pairing. Joss has proven that he can kill it in space, Firefly is living proof, and he has proven he can kill it with blockbuster franchises like The Avengers. He has an established and loyal following. It seems a natural thing to me, particularly if the schedule align, which they seem to do. He first made it huge on his own as the creator of Buffy the Vampire Slayer, and later the spin-off Angel, both back in the nineties. He is also the writer/creator of the sci-fi series Firefly, and the lesser known sci-fi series Dollhouse (which was excellent). He wrote and directed the movies Serenity, Cabin in the Woods, and most recently The Avengers and The Avengers: Age of Ultron. Thanks, Damien. I do not usually pau much attention to who directs thongs. Bad typo to make lol! I enjoyed Buffy and Angel when they were out, but I don't think I've seen any of the movies he's done. I can't see him doing a bad job.